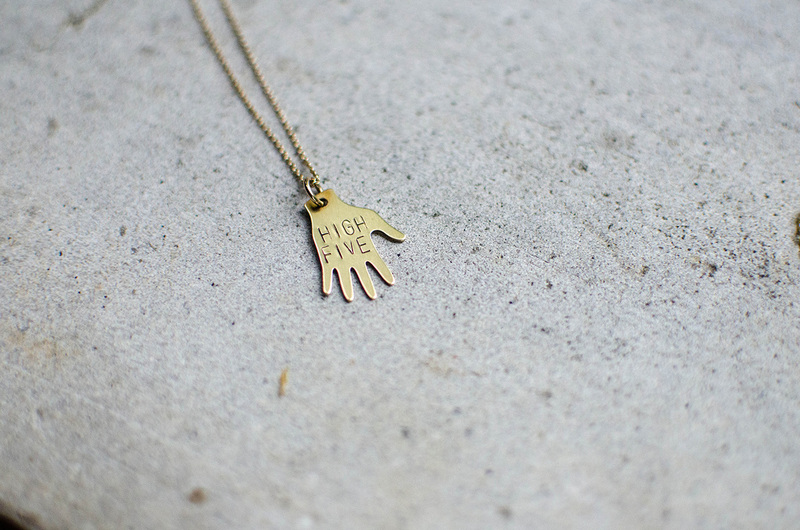 Ever wonder what powers a local jewelry line? Stacey Bowers, the gem behind Little Rock’s own Bang-Up Betty, can tell you running a local brand is not for the faint of heart. Especially one that embodies a certain moxie and outspoken humor mixed in with aesthetically pleasing designs. Looking back, the Central Arkansas native estimates she’s been creating jewelry for over a decade. Her current line stemmed from a need for creative Christmas presents. “I found these bullet casings, and I wanted to make some for my bada** best friend and my bada** sister,” she laughed. The response was overwhelmingly positive, as friends began to ask for more of her designs. Taking the opportunity before her, Bowers drew knowledge from her degree in new media from Centenary College and then took the plunge, launching Bang-Up Betty in April of 2013. She eventually debuted a website after selling her wares out of Bourbon and Boots, and now she also has her own Etsy shop. She has always loved word play, and as the line grew she began to incorporate puns. 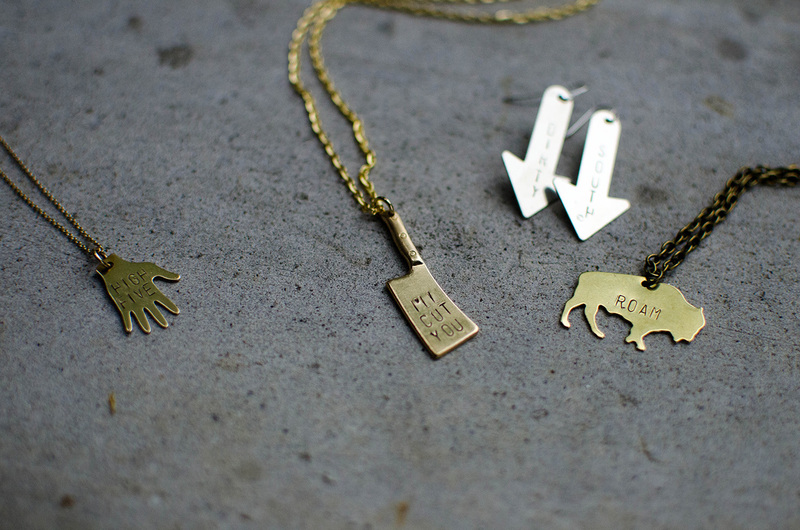 Creating everything from a necklace sporting an attitudinal middle-finger to arrow earrings displaying the words “Dirty South,” Bowers found her brand niche. You can order a custom designed piece, but she is always adding new designs to the outspoken line, like the latest design – hops necklaces – something any beer lover would be ecstatic to have. The process for creating something new begins with drawing a sketch or searching the web for something unique. She has her own stamping process, which involves her trusty hammer and an alphabet of metal stamps. She recently got a radial drill press to add to her growing studio, which she fondly thinks of as a modern forge. She is extremely thorough with each piece, wearing the final creation to make sure it fits just right before sending it off the lucky individual. Bowers has now sold worldwide to Canada, Brazil, France, Scotland, and even the Netherlands. Truth be told, though, she says it’s most rewarding when she spots someone sporting her creations around town. Bowers hopes to do a number of national shows in the fall. 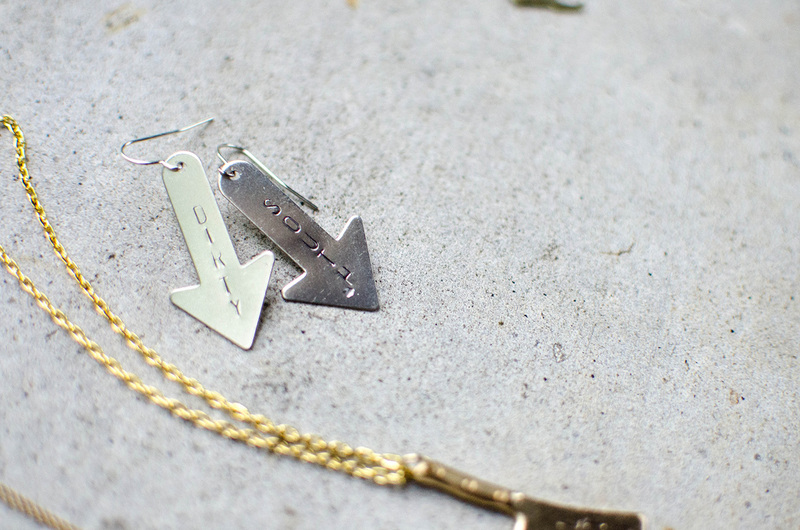 Keep your eye on Bang-Up Betty, as Bowers hinted toward exciting new partnerships in the future, “all of them pretty exciting.” She recently launched a line of jewelry using hops inspired by the local craft beer movements. When not working or expanding her designs, Bowers likes to write and do yoga. Connect with Bang-Up Betty on Instagram, and visit the Etsy store and website to see her latest designs: http://www.bangupbetty.com/.